You’ve probably seen the postcards and calendars featuring Hong Kong’s most famous nighttime skyline. You’ve also probably wondered out loud if it’s really all that it is cracked up to be. Neon lights generally look pretty and bright in the dark anyway, so is it worth dragging yourself all the way to Hong Kong just to see that and other such tourist spots? If you’ve never been before, my answer to you is an emphatic yes. Let’s start with the obvious one as we’ve just been talking about it. 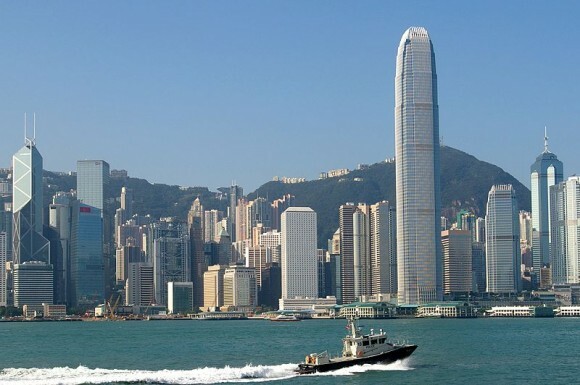 The view of Hong Kong Island from Tsim Sha Tsui is instantly recognizable. The building that stands out the most is the Bank of China tower. This is the one that’s built with triangles – as soon as you hear the description, you instantly get the image in your mind. If you head to the Tsim Sha Tsui waterfront for 8pm, you’ll be treated to the award winning light show, and buildings all around you will light up in time with music for a quick show. To view Victoria Harbour from an alternative angle, head up to The Peak. This will let you see the buildings from other side, and from above. It will also give you a stunning view of Tsim Sha Tsui, and you will be able to see all of the boats coming in and out of the harbor too. If it’s a clear night, you will have plenty of photo opportunities to take some pretty impressive shots, but if it’s cloudy, don’t fret. Seeing the tips of the buildings poking through the mist gives a very unreal feeling, too. This one is a pain to get to, and along the way, you may well ask yourself if it’s really worth the trouble. Once you’re there, you can make your mind up. 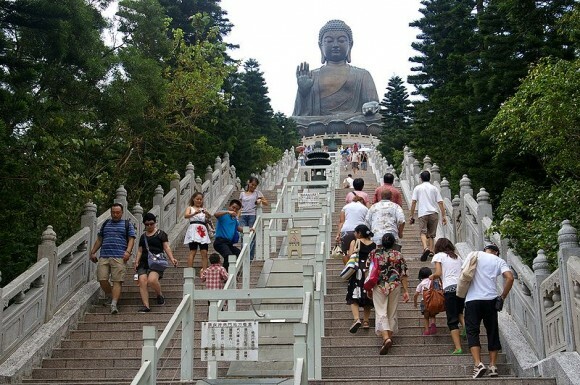 Standing at the foot of the steps that lead up to The Big Buddha might make you feel slightly insignificant, because it really is a massive sight to behold. Don’t attempt to climb up all of those stairs during the hottest times of the year, either, as you’ll probably regret it part of the way up. You may have no religious beliefs, but that doesn’t really matter one jot here. Seeing the statue from the ground is mind blowing, and once you are right by it, the scale of it will draw some fine reactions from you. Take a breather, and look around you too, as the hillside and greenery is worth capturing too. In Kowloon, many people will tell you to pay a visit to Ladies Market. It’s not just for ladies, and many local and tourists will join the crush to wander up and down the stalls. There’s an incredible amount of goods on offer here, and including electrical goods, bags, watches, DVDs, posters, jewelry and fridge magnets. Imagine something, anything, and you can probably find it here. The charm of the market probably lies in the stall owners’ sales tactics. They will only be too happy to speak with you and to negotiate the best price. Calculators are everywhere, and used to clarify the offers. Take your time, and enjoy the game. Mun Yin has been living in Hong Kong for the past few years, and is still finding new things to rave about the place.